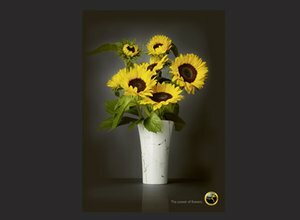 Inspiration, creativity and outstanding craftsmanship are the qualities that distinguish the Swiss Poster Award prize winners. 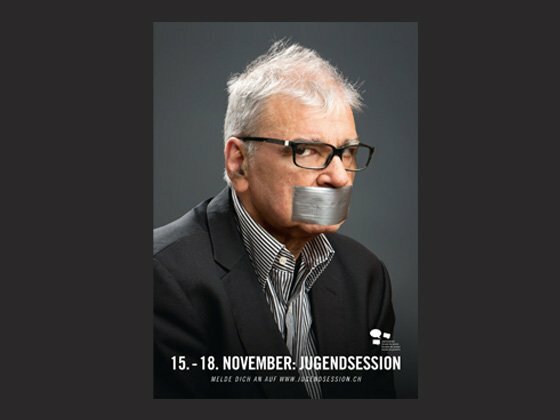 The Swiss Poster Award underscores the importance of the poster in intermedia competition and recognises the high quality of poster design. 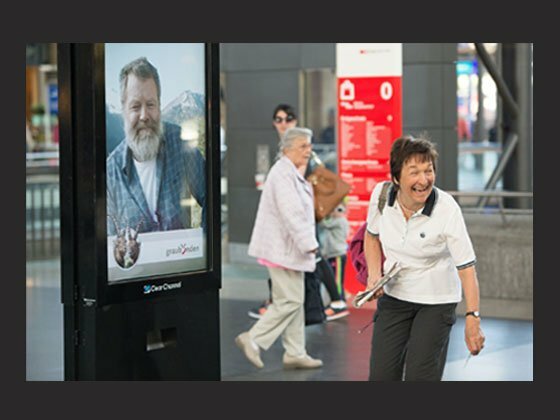 Whether in classical or digital form, out-of-home advertising has come of age as a creative platform that unites cost efficiency and strength of impact. 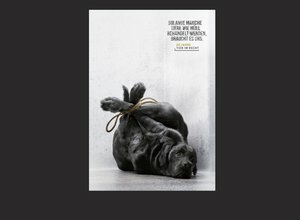 Exclusive The winning visuals of the Swiss Poster Award 2018 will be exhibited at the grafikSCHWEIZ 2019. Your campaign didn't participate last year? Then go for it and good luck! 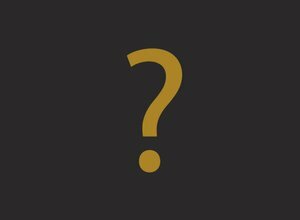 Registration is now open for the Swiss Poster Award 2019. Here could be your creation. Encounters with others can cause fear and stress among people with autism. Therefore, they are dependent on understanding. 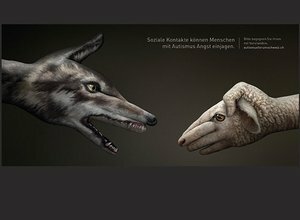 That's the focus of the campaign by Autismus Forum Schweiz, realizing it with an impressive idea that is implemented with great attention to detail. Never in our entire history have we been exposed to such an enormous flood of images as we are today. And given the volume and the content of these images, it is becoming increasingly difficult to shake up the general public using visual media. 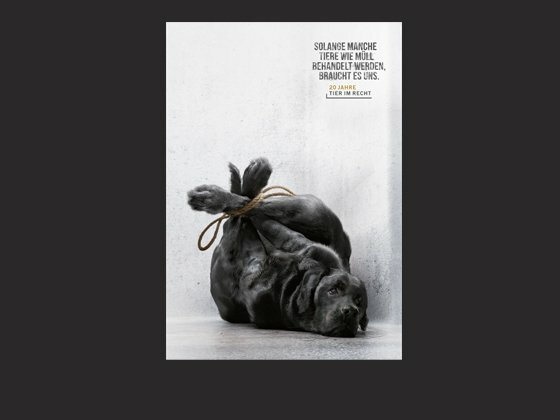 And then this appears: At first glance we see a black rubbish bag on the poster before quickly realizing that it is actually an animal that has been disposed of. Tied together while still alive. Thrown away. We are immediately and deeply shocked. The “Animals as rubbish” series makes injustice visible, triggers emotions, appeals to our conscience, and spurs us to take action. And that means everyone, even those who have no interest at all in pets. Moreover, the creative design is absolutely outstanding, striking the perfect balance between realism and illustration. 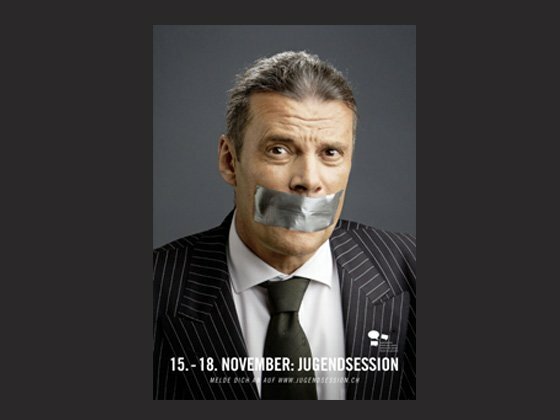 The jury enthusiastically chose the series by “Stiftung für das Tier im Recht” as its “Poster of the Year” 2016.
eAd, Instagram, Rollingstar, Facebook, TV, ePanel: the list could go on and on – and shows how unbelievably densely and continually we are “fed” with new image content. The most extreme example is probably large train stations – that is, precisely where people need to travel from A to B as quickly as possible anyway. And precisely here is where the “Poster of the Year” launched its campaign, in which a likeable local figure addresses stressed Swiss lowlanders directly from the quiet, fantastically beautiful mountains of Graubünden. Connected via camera and screen, he starts to talk to busy urbanites, inviting them to visit him personally in the mountains and even presenting them with the train ticket for the journey using the built-in printer. This is an initiative that combines state-of-the-art technology with the charm of a human conversational partner and opens up brand new vistas in out-ofhome advertising. Accordingly, this advertising campaign has not only delighted local viewers but caused a sensation internationally as well. 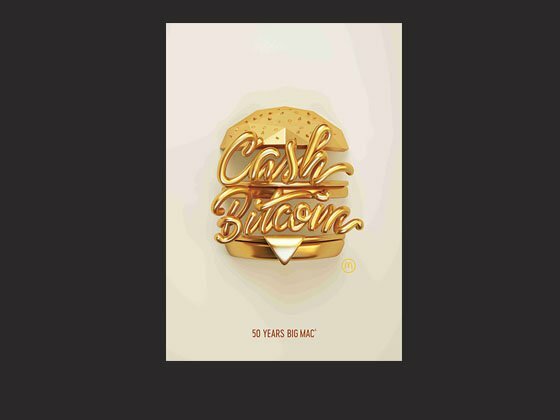 The poster of the Year goes to an extremely innovative project that uses a captivatingly simple and attractive idea and even brings a smile to the faces of the people who see it. What more could we want? 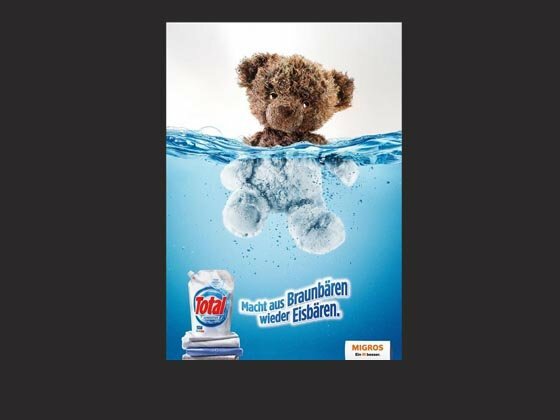 The “Poster of the Year 2014” award has gone to a major national advertising campaign for a very common product: a detergent. 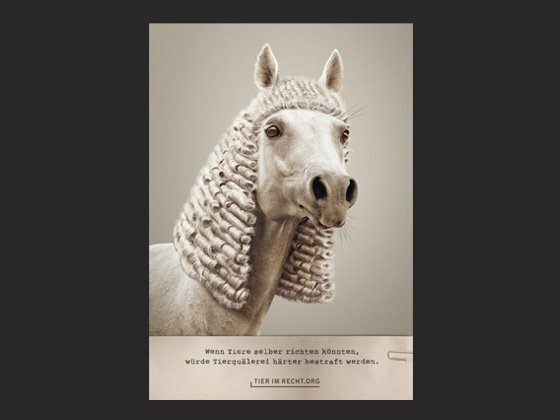 The poster relies on a classic advertising strategy – the “before and after” effect. Using a short story, customers are shown what the product being advertised can do. In the case of a detergent, this is the transformation from dirty to clean. So far so good, it’s been done a thousand times before. What makes this campaign so outstanding is the brilliant interpretation of this wellknown configuration. The protagonists, a variety of soft toys, tell of an active and therefore happy childhood, while the look of the animals and the state of their fur show the necessity and effectiveness of the wash just started. The text summarizes the visual message into a short, effective claim. 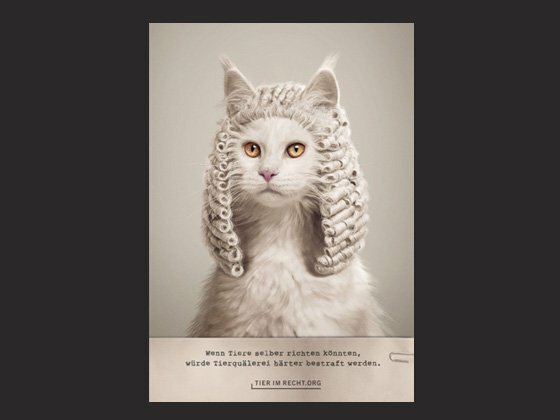 This achieves everything a poster is capable of and demonstrates why good posters are so widely esteemed: The “Poster of the Year” goes to a work which brings together the commercial message and visual expertise in a tongue-in-cheek way. The protagonists of this year’s “poster of the year” have an innocent yet dignified air. Animals with white coats wearing an artistically draped long curly wig, a baroque fashion that has its origins in the court of Louis XIII. Whoever wore such wigs in those days were powerful, and judges in the UK and Australia still wear these curious hairpieces today. 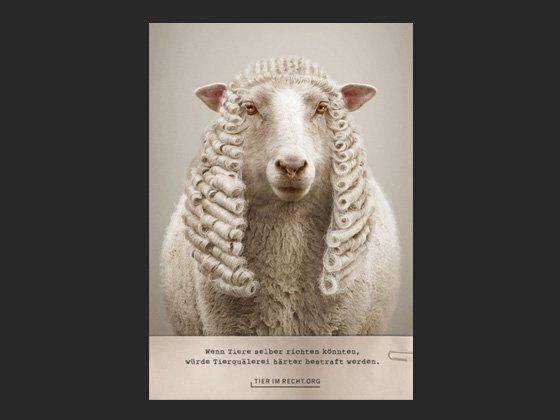 The image is photographically and technically superb and deliberately creates a visual irritation which is resolved in the text below: “If animals were judges, cruelty to animals would be punished more harshly.” The picture draws our eye and poses a puzzle. It invites us to imagine how it would be if the roles were reversed. 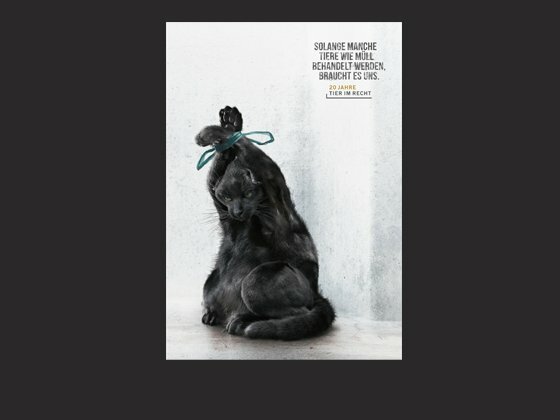 This is enough to make the audience consider the often shocking facts of animal abuse. The “Poster of the year” prize is awarded to a work that provides a wake-up call in a clever, visually striking way. Portraits of politicians are everywhere in advertising. In election campaigns they present themselves as “go-getters”, “visionaries” or “the guy next door”. And they are often photographed badly. In parallel, we hear and see people from all sides constantly talking politics on the radio, on the Internet, and on TV. An experienced politician keeping his mouth shut? Impossible. 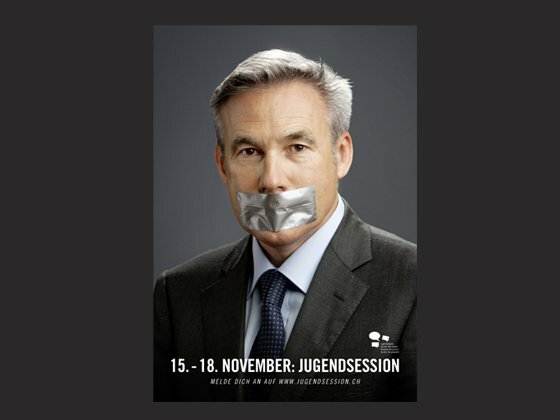 This is exactly where the clever campaign for the 2012 Jugendsession (Youth Session) began. 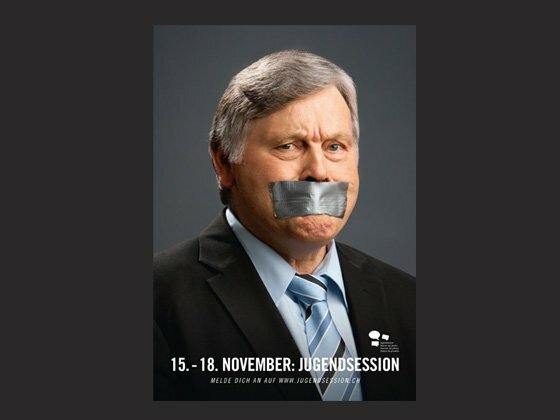 “Jetzt reden wir” (“Now we’re talking”) shows exceptionally well portrayed political figures from all parties with their mouths taped closed. The piece promotes a striking message for young people in politics to make themselves heard. The fact that the politicians depicted took part in this campaign shows two things: our country’s mature political culture and the intelligence and persuasiveness of the creator of this campaign. The jury awards gold to the poster which uses simple methods to get to the heart of an important concept. wall sunshine. So it has a multiple effect: In a charming and tongue-in-cheek way, it advertises the product and at the same time lets us know that other people also have hard times once in a while. 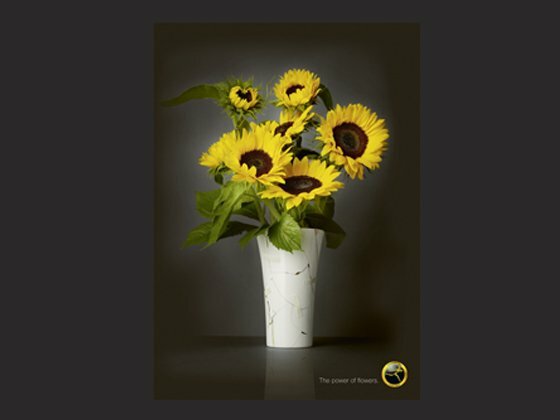 The Swiss Poster Award 2011 goes to a splendid and smart creation that consummately unites wit and wisdom.